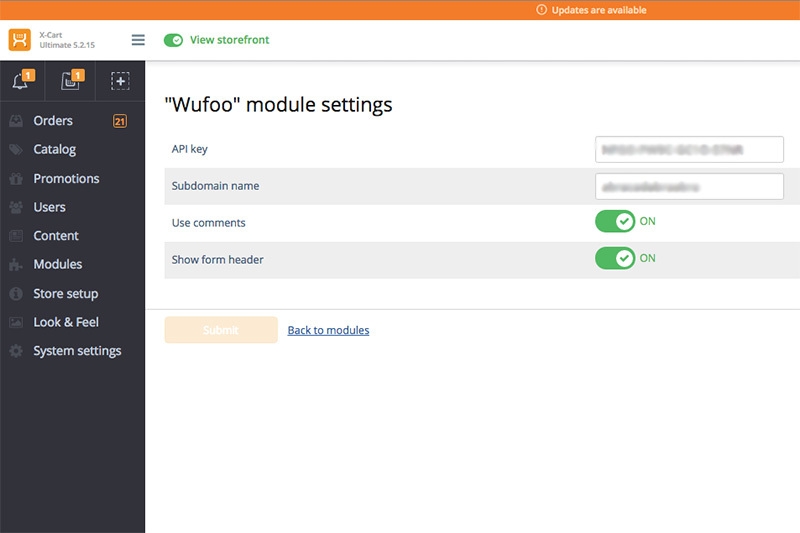 Design forms in Wufoo and add them to your store static pages to collect various data from your customers. 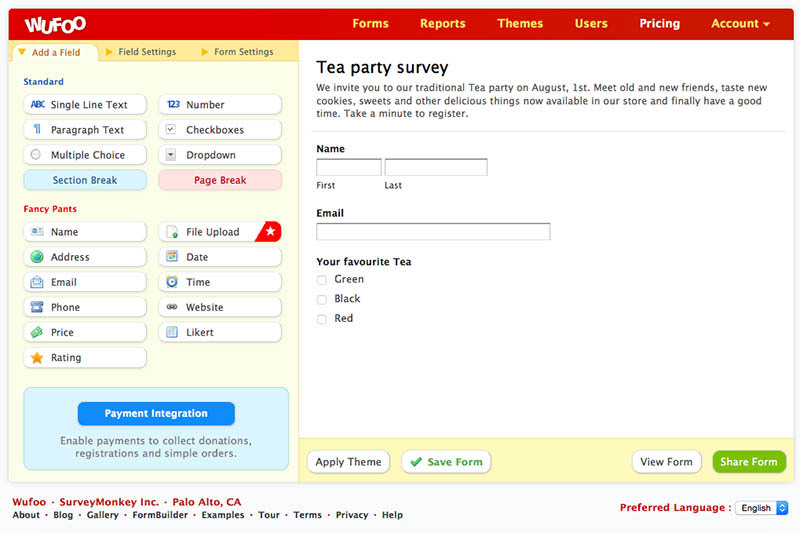 You can add contact forms, online surveys, researches, invitations and collect data, registrations, and payments. 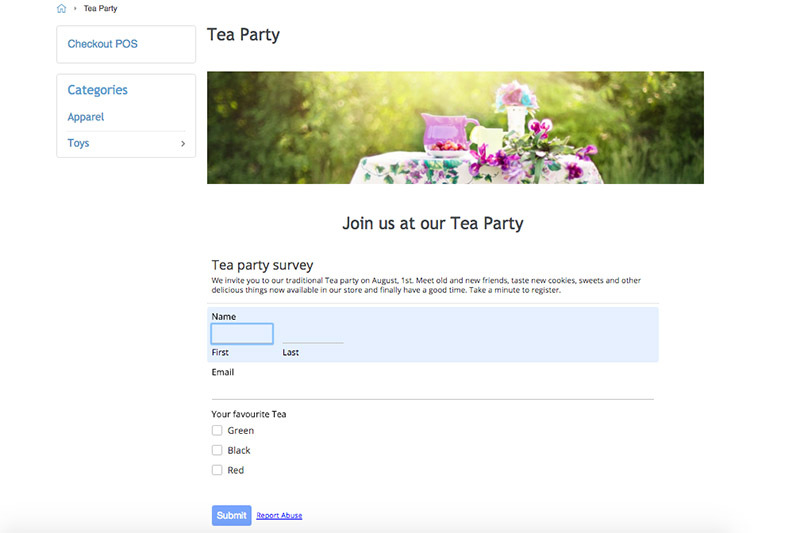 Access 400+ customizable templates, use rules to create dynamic forms that will follow the logic that you've specified. From 256-bit SSL encryption to smart CAPTCHA, Wufoo takes care of your data security, so hackers won’t be able to reach data submitted into the form. The store administrator can add forms in one click in a WYSIWYG editor by choosing them from the ‘Wufoo forms’ dropdown in the settings menu. Nice little Add-on module. It would be nicer if an actually url link -- hot link! -- could be inserted in the comments area if I have that correct. Otherwise Wufoo is a nice little item I added to my X-Cart shopping cart. I give it a 3 out of 5 notwithstanding what comes up in the heading. Don Saar, Relativity Science Calculator, www.relativityscience.com .